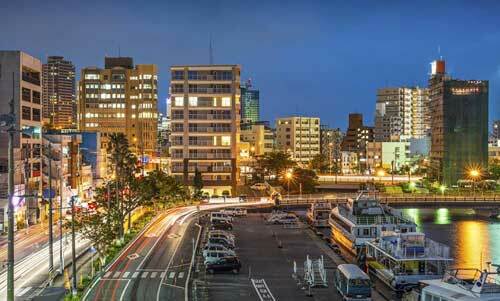 Night view of Naha, which was selected as 6th in the "Traveler's Choice 10 Destinations On The Rise in 2014." At Tomari Port (Photograph provided by TripAvisor). Naha City has ranked 6th in the world ranking, and 4th in the Asian ranking. Naha is the only city in Japan to come top 10 in the list. The popular tourist spots in Naha are the Okinawa Prefectural Museum, Shurijo Castle, Shikina-en Garden and the stone path in Kinjo Town. The city attracts attention from the world as a place where tourists can experience the history of Ryukyu Kingdom and the modern city of Okinawa. As well as those from Japan, tourists from the United States and Taiwan offered reviews on Naha. People from various countries are interested in the history of Okinawa. In the ranking, Da Nang in Vetnam took first place, followed by Sihanoukville in Cambodia, Limassol in Cyprus, Ao Nang in Thailand, and Bodrum in Turkey.